Personally I love summer weather. I love going for long runs in the heat of the day, to be drenched in sweat upon my return. I love lying on the grass with friends all around me, playing guitar and singing nonsense songs. I love summer nights with camp fires and s’mores, and the wandering smell of wood burning. The weather we are currently having (mid-80’s in April) is a little early for the season, but watching lobsters crawl to class never gets old. 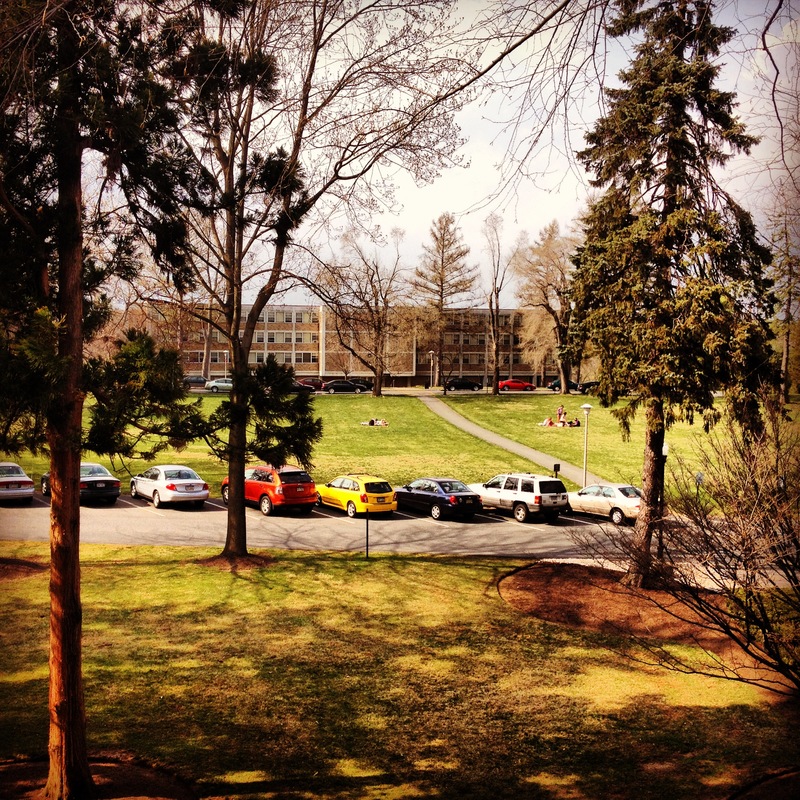 As spring temperatures creep from freezing to mid-80’s, everything on a college campus changes: classes move outside, clothes are shed, and our meals become a little more health conscious in preparation for summer. 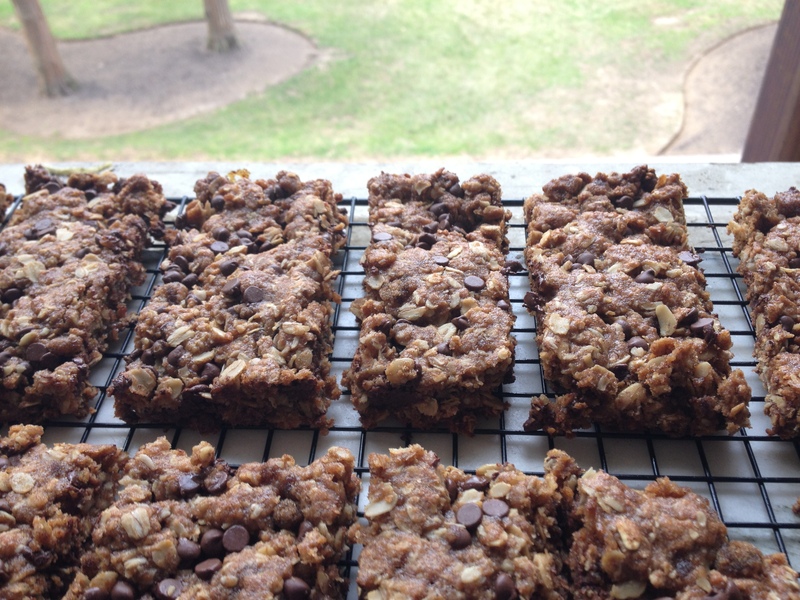 Never in my life have I made any type of granola bars. I have made breakfast granola to put in yogurt and in fruit parfaits, but never in the form of bars, so today with desire to learn (and with hungry friends on the go asking for snacks), I’ve decided to try. Dry ingredients ready to be mixed! Depending on how big you cut the bars, makes around 12 bars. 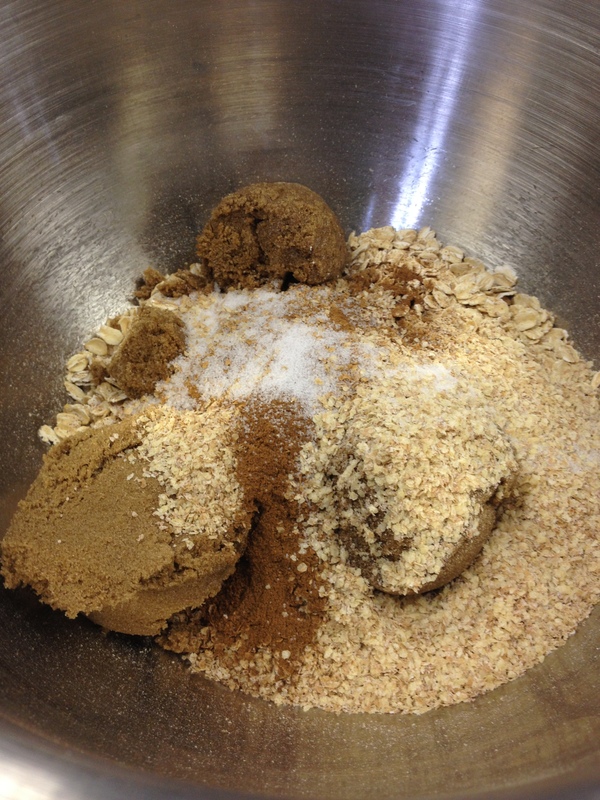 In a large bowl, mix together the oats, brown sugar, wheat germ, cinnamon, flour, chocolate chips, and salt. Make a well in the middle of the dry ingredients and add honey, egg, oil and vanilla. Mixture will be still, mixing using your hands is easiest. Pat mixture evenly into the prepared pan. Bake for 30-35 minutes until the bars begin to golden. Cool for 5 minut4es, then cut when still warm or else they will be hard to cut. *Wheat germ, I could not find it anywhere for the longest time, If your food store has specialty four or a gluten free section you may find it there.